Change the values of h, k, a, and b to see how it effects the ellipse and the equation of the ellipse. 1. How are the equations for the vertical hyperbola and the horizontal hyperbola different? 2. 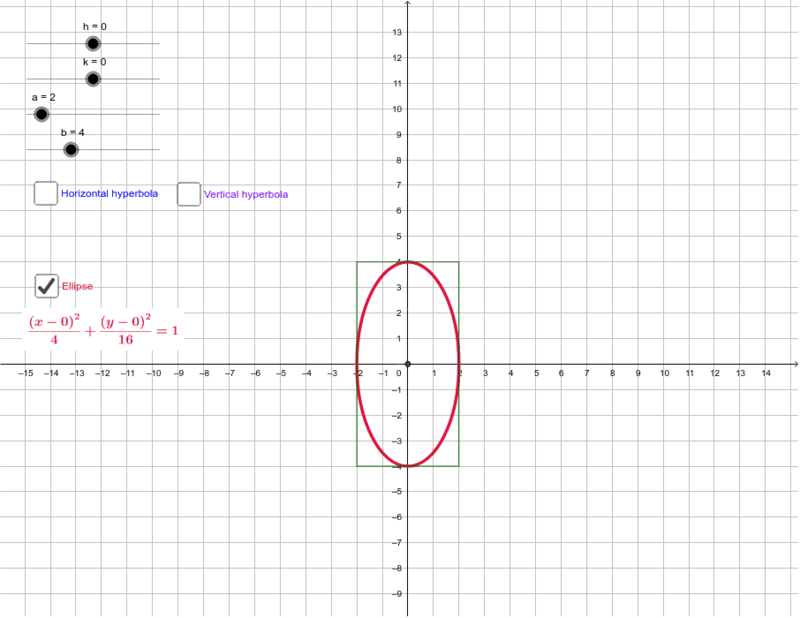 Why aren't there different equations for the vertical and horizontal ellipse? 3. How do a and b effect the asymptotes?